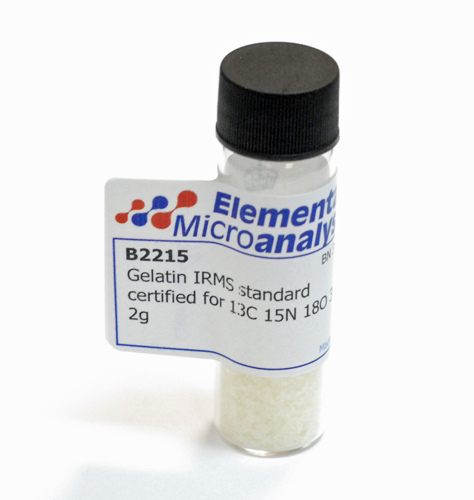 Elemental Microanalysis has added a new gelatin IRMS standard, B2215, to the range of IRMS reference materials available. The new standard is certified for 13C, 15N, 18O and 34S. This isotope standard may be particularly useful for those undertaking collagen studies. A lot of collagen advertised on the web is fully hydrolysed, so it is nothing more than a mixture of amino acids, and in our view unsuitable as a reference material. Our gelatin reference material is only partially hydrolysed, so retains much of the collagen structure – physically and chemically. Hence it is much more closely matrix-matched to pure collagen. 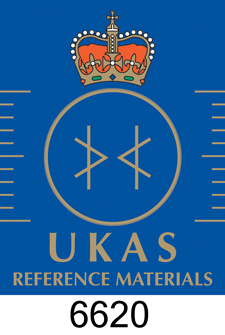 Our full range of certified IRMS reference materials, all of which are traceable to a primary reference (NIST, IAEA), is shown in the PDF available for download below, as well as our ‘working’ standards, intended as an ‘in-run’ reference.